Back when ActiveCollab was available only as a self-hosted solution, our team used to ship beta releases months before the stable release, and these beta releases were always public. 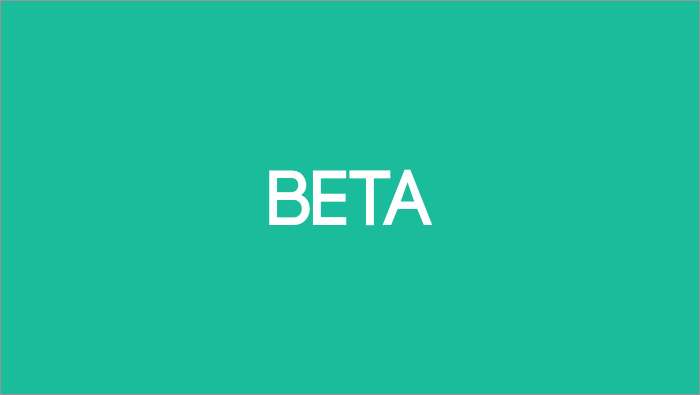 Every license owner could download and try the beta as soon as it was available. This was great because many people were involved in the process - but it was also very stressful for our team. Some users rushed to the shiny new version even though they were in the middle of a big project and needed absolute stability. When things went wrong (which is normal for beta releases), we'd get bombarded with support or downgrade requests... usually on Friday evenings, after a system administrator got the idea to try this “new thing.” Of course, it was always very urgent and put a lot of pressure on our support team. Still, we have fond memories - it was always exciting to ship a new version and see it being used by the real people, on actual projects. Beta testing changed completely with the Cloud. Since we introduced it, we've tested and released two major software updates. Testing now starts by inviting a couple of Cloud users and adding them to the beta deployment channel. Their system gets upgraded to the new version, and we monitor their usage and system stability. If there's an error, our team can react in a matter of minutes to patch things up. Self-hosting is a different beast. There are many combinations of PHP, MySQL, extensions and caching systems out there. Suddenly, there are different operating systems, running on different hardware, with different access levels. Strange platform issues pop up, and it sometimes takes days to arrange access and find out what went wrong. We love self-hosting, but this type of debugging takes a lot of time and energy. That's why we leave this phase for the end. That way, we know that ActiveCollab itself is pretty stable and we can focus on fixing issues caused by platform variability. Tests usually take a week or two before we can declare that the new version is stable and that the beta phase is completed. How Does Will Feather Beta Work? We're taking the same approach with the Feather beta. A couple of courageous users are using it already in the Cloud and we'll invite more people every Monday. Invites will go to Cloud users, or to people who are comfortable moving to the Cloud. At this point, the focus of our team is to wrap up Feather functionality and get as much feedback as possible from the testers. Getting platform variability covered is out of the scope at the moment. When Feather is stable and well tested in the Cloud, the team will shift their focus to the self-hosted beta builds. Our goal is to reach this point at the end of March and start the self-hosted beta on March 24th.